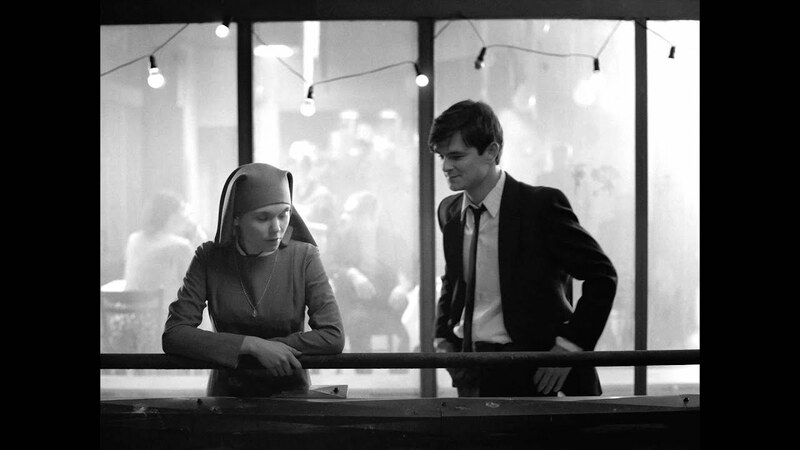 “And then?…and then?” Did any two words ever, outside of Sacred Scripture, communicate so effectively the vision of the transcendent as these two words do in the film Ida? This Polish film, set in the middle of the bleak post-war communist era, with characters who are equally bleak, set against both an urban and rural landscape of unremitting grimness, reveals in all of that a light of truth embodied in its central character, Ida. This light dispels all the enveloping darkness as she walks to her destiny in its final scene. The film, shot entirely in black and white, opens in the Spartan environs of a convent. A young novice is putting the final touches to a repainted statue of the Sacred Heart. We next see a group of novices carry the statue through the snow-covered courtyard of the convent and place it on its plinth in the centre of the yard. We next see them silently eating their frugal meal and then learn that the novices are about to take their vows sometime in the coming days. Before that, however, they are asked, Ida among them, to go back into the world for a few days reflection before making their final decision. We follow only Ida on her journey and in the course of it we learn – and she learns – the shocking truth, from an aunt whom she had never met before, that she is Jewish and a holocaust survivor. Her parents were murdered and she, little more than a baby – in a manner we learn of later – was spared and was brought to a convent where she remained until this time. Her aunt, her mother’s sister, has her own very different story. She is a magistrate in the Polish courts and although the experience of cooperating with a brutal totalitarian regime has hardened and embittered her, she still has some shreds of humanity and familial loyalty left. Although totally uncomprehending of – and at times mocking – her niece’s faith and vocation, she helps her firstly cope with the shock of her discovery and then sets out with her to help her find how her parents died and where they are buried. Their odyssey is one in which they each discover the depths of their souls, depths of disillusion and despair in one case, depths of an infinitely more sublime nature in the other. Ida returns to the convent and after some days of preparation for her reception to the order, in a moving prayer by the statue which we first saw her painting, she asks for forgiveness because she feels she is not ready. She is given time for further reflection. Then an event, somewhat shocking, occurs which takes her out of the convent again and she meets a young man, a musician, whom she met on her earlier odyssey. They seem to fall in love but all is not as it seems. It is not as it seems because Ida has to get the answer to those two questions, “and then?…and then?” before any new road can be entered on. He cannot answer them for her and it is at this moment that we are left to answer the questions ourselves. I can say no more. This is a wonderful and most unusual film, as rich as any you are likely to see in a long time. The acting is superb, the dialogue is sparse and the face of Ida (Agata Trzebuchowska) – for you never see much more than her face – communicates the meaning of much of what this film is offering us for reflection. Ross Douthat in the New York Times suggests that it will probably be the film of the year – even though it looks more like the film of 1962, possibly the year in which its story is set. The film’s director is Pawel Pawlikowski. After the sudden death of his wife, it would appear that he hit a midlife crisis. So he returned to his native Warsaw from England where he lived – and made Ida. According to the Guardian, it is the film of his career. The film has been selected as the Polish entry for the Best Foreign Language Film at the 87th Academy Awards.